If you have ever noticed my short bio. on the first page of my blog ( I hope so :), you will read that I love a glass of champagne....ice cold champagne. Yum! With the holidays just around the corner there is no better time to start making your dinner plans to insure absolute perfection in your meal. If you’re like most people around the holiday season then the time will involve a lot of food, drink and merriment, so start looking for your Tesco wine offers and other sales now in order to maximize your savings. One of the drinks that everyone loves to pop-open around the festive holiday season, whether you’re celebrating Christmas, Hanukkah, New Year, or any event, is a good bottle of Champagne. And while Champagne is a perfect drink to break open on its own, it can also be paired wonderfully with different foods. So here are a few dishes that you might want to consider pairing with your bubbly at your upcoming holiday meals. Champagne, both brut and cava, have a sweetness to them that perfectly balances the saltier and more acidic flavours of many appetizer dishes, whether you’re looking to get fancy and crack-open some oysters, or want do something light and healthy like an asparagus and avocado salad. Other great choices to serve alongside a glass of Champagne or sparkling wine include slightly more rich and sugary dishes, such as roasted squash or bruschetta. The same way an oyster appetizer dish makes for a great Champagne pairing, clams in a main course pasta are a perfect combination with sparkling wine. The crisp sweetness of the Champagne will blend brilliantly with the briny tastes of the seafood, and will certainly add depth to the flavour of the pasta. You can also try using a little bit of Champagne in the cooking of this dish to get some extra kick. Scallops and prawns are often served together but have quite different tastes on the palate, and seldom do you find wines that truly embrace the flavours of both. In this instance, however, Champagne or any sparkling wine will make for a wonderful addition to both the lighter and cleaner taste of the prawns, and the more savoury and sweet flavours of the scallops. You may have thought the only thing you could serve alongside a glass of Champagne was seafood, but in fact there are a number of meats that make a delightful pairing. The stand out choice being venison. Venison is a very rich dish whose flavours blend extremely well with a more mature sparkling wine. If you’re looking to create an even more rich and diverse flavour, then consider creating a blackberry or cherry reduction to top your venison. There are few things that go better with Champagne in general than berries, and eating them plain alongside a good glass of sparkling wine is a delight. But, if you’re looking to make something a little more complex for a dessert, then consider a tart as fruit dishes also make an excellent pairing. 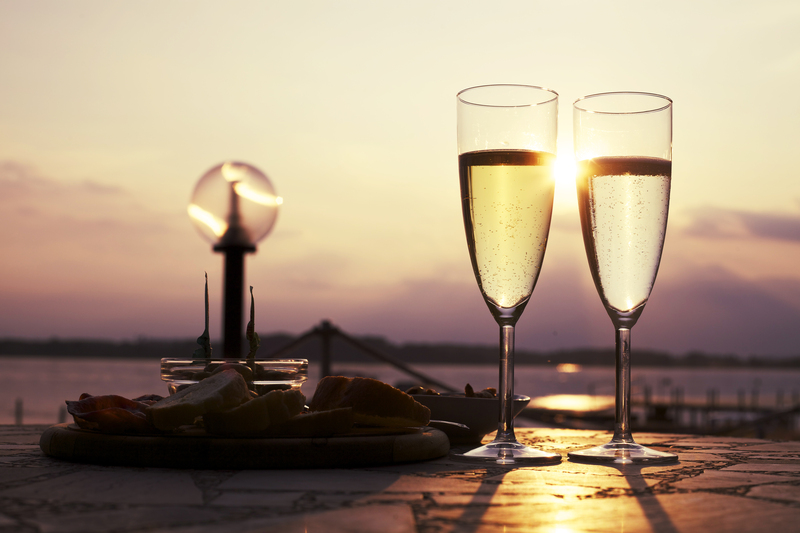 Whatever your holiday plans, you won’t want to be without a bottle of bubbly on that special evening! this is a sponsored post with my own words thrown in because I truly do love a good glass of the bubbly. One More Time ~ Share It Sat. I like this post. 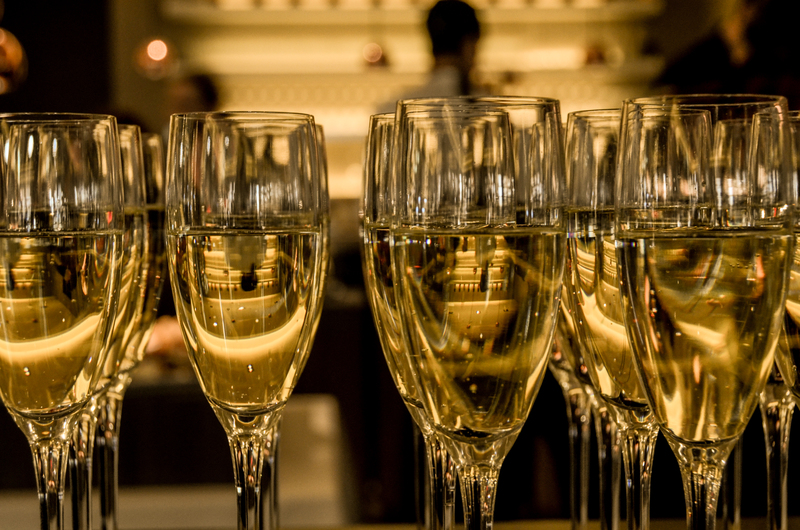 Do you have recommendations for not too expensive dry champagne? I'm with you girlfriend....I love champagne!!! Your ads look fine to me, I am using firefox, could be Dianas browser? Definitely puts me in the mood to celebrate and pop open a bottle! Love the suggestions for food pairing as I always use it as a toasting drink or maybe with dessert.